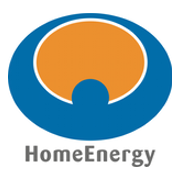 "Welcome to Home Energy Renewables. We are a renewable energy company manufacturing products in the small wind, solar, and solar heat. We believe we offer the best products and hybrid combinations in the market today. We hope you share our passion and commitment to green technologies and positively impacting the environment." Energy Ball. A revolutionary wind turbine design. Hybrid . Combine the power of the sun and the wind to meet your energy needs. Solar Heat. Use the sun to fuel your heating needs. Solar. Use the sun to provide your electrical needs. Home Energy Renewables and the Simcoe County School Board team up to help Elmvale High School.